The spread of malware to several website’s HTML files, database, PHP files, and several other areas is increasing on day by day. Gone are those days when malware used to infect only specific sites that are commonly used. These days malware can spread to any website (small and big businesses) merely because of the cruel intentions for which hackers target on stealing your banking details, close contact details, passwords etc. With the growing number of sophisticated threats, there are actually a few signs that could tell you if your business website or any site that you visit has been hacked. For instance, a backdoor file is a type of malware attackers create to obtain access to a website while remaining undetected. A website mostly gets virus infected when you download an infected file from an unofficial source or an official plugin or update that could contain errors that can be used by hackers. These errors are also known as vulnerabilities. Hackers usually keep information about vulnerabilities and scan varied websites to find a victim. When they find it, the hackers use that vulnerability to upload a malware in order to steal different data, send spam, or redirect users to other websites. However, there are scenarios in which the signs are not so obvious. In such cases, you will need an automatic virus removal tool and also ensure to carry out a few essential measures that will help prevent virus attacks in the future. 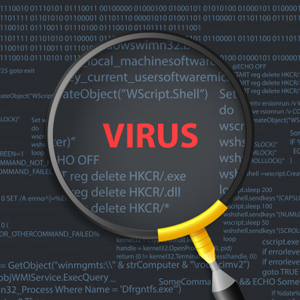 This article will present to you a few essential measures that you can follow if your site gets infected with a virus. This will be followed by a discussion on one ultimate and reliable solution that will help in automatically removing a virus from an infected website. Here, we are talking about cWatch Web from Comodo. This is a website security tool made up of different layers of protection that play a major role as an automatic virus removal tool besides providing several other layers of protection. Change passwords: It is a common scenario when a virus contaminates a website using an admin’s password for FTP or CMS that was stolen from desktop or email. Change passwords for accessing FTP/SSH-accounts, a server control panel, and CMS. Make sure to use only strong passwords that are made up of more than 10 symbols with lower and upper-case alphabets, special characters and digits. Refrain from using the same password for all your accounts. Delete unlicensed plugins: Only plugins developed by official developers must be installed. Never fall for “a free copy” of any commercial plugin as there is a high chance that it comprises of malware. If you want your website to be clean from virus and other malware, it is better for you to pay for trustworthy software that can carry out the cleanup process automatically. Update all your software: Immediately after the discovery of new vulnerabilities, software developers release updates comprising of patches to fix them. It is always recommend that you use only official websites (WordPress, Joomla!, Drupal) to download updates. Configure access rights to files: Use ISPmanager or FTP to configure access rights to the files of your website. These rights determine who can write, watch, and edit code. It is recommended that you select 644 value for files of a website. 644 refers to that fact that only the admin can change code while watching and executing is available for all visitors of a website. 755 is recommended for directories, and here the admin has read/edit rights while other users have read-only rights. Block functions that are not used in PHP configuration files: Open the PHP configuration (php.ini) and add “disable_functionst“to the following functions if you are not using them: passthru, shell_exec, system, proc_open, popen, curl_exec, curl_multi_exec, parse_ini_file, show_source. Restore a backup: If you are aware of the moment when your website was infected you will be able to restore the backup created prior to this date. This will help allow you to prevent curing a virus. How cWatch can Help in Automatically Removing Virus from a Website? cWatch is considered to be the only website malware removal service that uses certified cybersecurity experts to remove malware from your website for free. Experts at Comodo will find and remove all malware from your website, repair damage brought about by hackers, and detect and filter out advanced attacks and spam. Get your website back from hackers with Comodo cWatch. Comodo’s security information and event management team is always equipped to address your website issues.